Mapping a crash or crime scene is a tedious task that needs to be documented quickly and accurately. With the current mapping tools and techniques available, there is yet to be a solution that hits the mark on everything from affordability, ease of use and overall practicality. Only one solution makes mapping a crash scene more efficient than ever: LTI’s Incident Mapping Package. 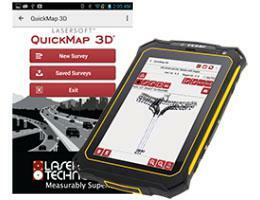 With the combination of the TruPoint 300TM and QuickMap 3D® for Android (QM3D), investigators will be mapping like pros in seconds. The TruPoint 300 is compact, offers millimeter accuracy and uses a red-dot pointer and camera for targeting, making it ideal for indoor use and tight areas. It integrates the range and tilt sensor with LTI’s exclusive MapStar® Angle Technology for complete 3D measurement capabilities from one device. Pair the TruPoint 300 with QM3D, the first incident mapping software on Android, to simplify the field measurement and electronic data collection process even more. Investigators can increase field work efficiency, reduce safety liabilities, and have access to built-in trouble shooting tips to help correct common mapping mistakes. This Android software makes it possible to fire remotely as well as takes high-quality photos all on a tablet. A single investigator can now map critical points while reducing contamination and preserving the evidence at a price point that is a fraction of the costs of scanners and conventional total stations.